Since our inception, JUMP has served 250 home cooked meals (including Christmas, Easter and Thanksgiving) for 25,000 people. 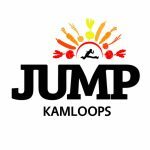 JUMP has distributed over 100,000 lbs. of produce donated by the Kamloops Farmers Market, Kamloops Food Share and from our urban gardens. Volunteers from the community at large have generously donated 22,000 hrs. We create opportunities for people of all ages struggling economically, socially and nutritionally to stabilise their lives and meet the challenges of sustaining a healthy and community-based lifestyle, and facilitate a network of peer support that helps individuals and families build personal capacity as well as our community by participating together as volunteers to achieve food security, social integration and community development.